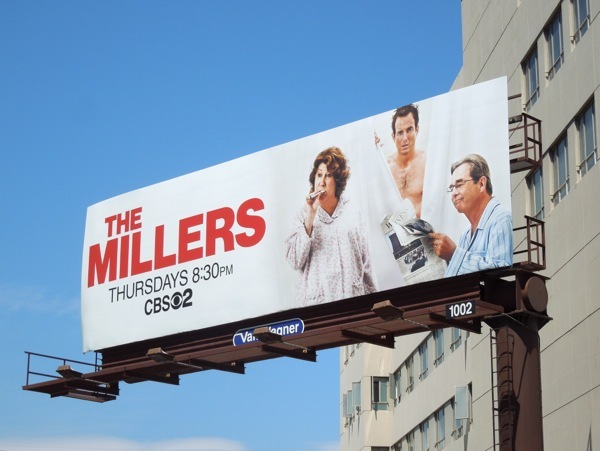 This new TV season there seems to be an awful lot of comedy coming our way, so now it's time to meet The Millers (not to be confused with this summer's fake family in the We're The Millers R-rated movie). 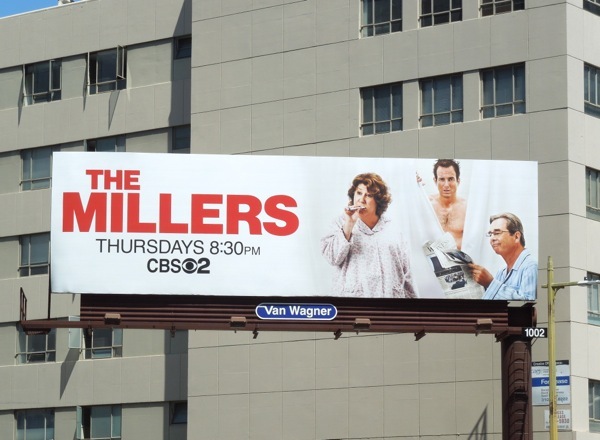 In the new CBS sitcom, family life is once again ripe with hilarity and comedy fodder as a newly divorced 'Nathan Miller' (Will Arnett) inspires his own dad, played by Beau Bridges, to leave his wife of 43 years. That's not all the surprises in store for him though, as his mother (the wonderful Margo Martindale) decides to move in with her son and cramp his newly single lifestyle. Meanwhile his father decides to impose on Nathan's sister and her family and move in with them. 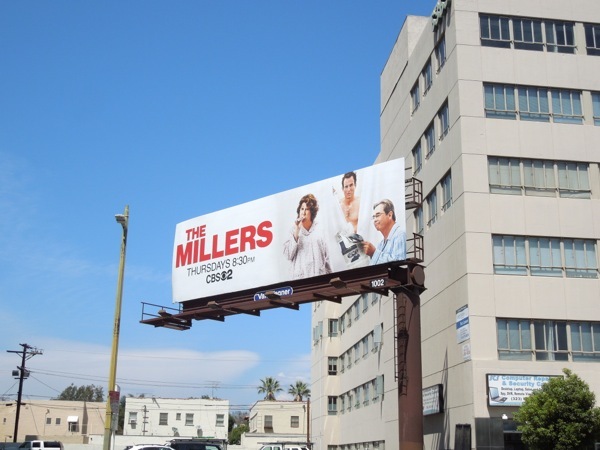 This fun and slightly awkward bathroom inspired series premiere billboard for The Millers was spied along Wilshire Boulevard on August 18, 2013. 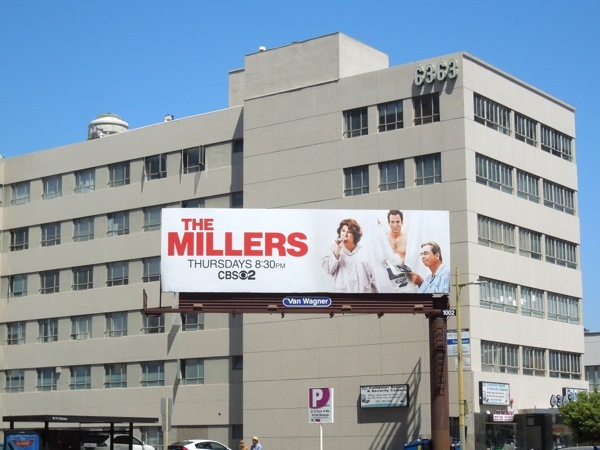 That's it for another TV WEEK here at Daily Billboard, but stay tuned in the weeks to come as the ads for this fall season's new shows and returning series are coming thick and fast to the skies of L.A.